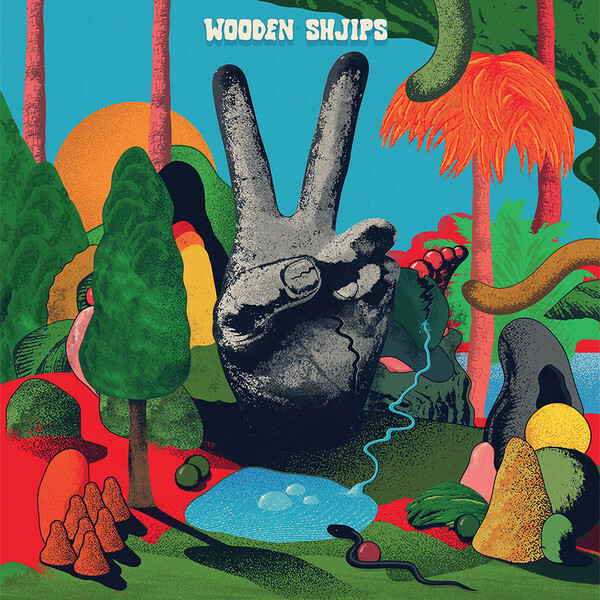 This time last year, Wooden Shjips were working on a “summer record”, but external events impinged on the creative process. There was America’s climate of socio-political upheaval; then forest fires raged near where the band recorded, in singer-guitarist Ripley Johnson’s Portland home studio. “I sat watching ash fall like snow,” he remembers. “It felt apocalyptic.” Thus, V, their fifth album, which is rich in summer beauty but has an indefinable undercurrent of fear and menace. The “peace” sign on the cover reflects the band’s desire for a statement of dignified resistance and calm amid the storm. The sound unfolds slowly and gracefully, like an opening flower. There are psychedelic drones, metronomic, krautrock drums and counter-melodies on horns. The 1967 summer of love has coloured many a psychedelic sound but the most audible influences here come from the great late-80 s British bands Loop and Spacemen 3. Certainly the latter’s smouldering masterpiece, Playing With Fire, audibly impacts the gently fizzing, eight-minute Staring at the Sun, wherein Johnson describes walking past crowds of people, and dreamily thinking: “What a feeling it is to rise above.” Similar sentiments of escape fire Golden Flower, but there is no aimless meandering. Everything is underpinned by solid songwriting and pop hooks, never more so than in the twangy Already Gone, while the keyboard/bass-surging Ride On is grandly epic. Throughout, Johnson’s guitar wanders delicately across the sound with spectral beauty. It’s an album of hazy intensity, perfect for these times and this summer.